Volunteer for a political campaign. If you're interested in politics, it's a great way to find out how things work on the inside. Even if you can't vote, you can still work to get your candidate elected. But what if school, sports, or other commitments prevent you from devoting time every week? Many large organizations (especially those related to the environment or finding cures for diseases) have daylong activities. These include walkathons, bike rides, cleanup days, or building homes for those in need. 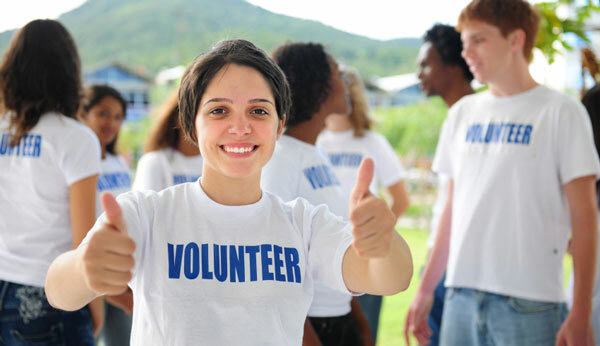 Volunteering also can provide you with a sense of responsibility because people really depend on you. And it can help you develop a new understanding of people who are different from you — people with disabilities, people in financial distress, sick kids, or the elderly. Donating your time is a great way to feel like you have the power to change things for the better. When people depend on you, it can change the way you look at yourself. You can feel proud of the goals that you've achieved for an organization — whether it's helping to organize raising money for breast cancer or running the race itself.